Part Number: LR025951. This part number supersedes XQZ500010, which is no longer available new. RANGE ROVER LAND ROVER DVD CHANGER DVD PLAYER REFURBISHED REPAIR SERVICE. 6CD changer model Alpine XQE000110PMA. To fit Freelanders 1 (under seat, brackets also available). Whenever possible, we provide the part number. If in doubt, ask. unit 1, zone 4A. make Supersized seem small. 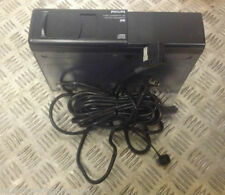 Range Rover P38 ALPINE CD MULTI CHANGER XQE100240 & MAGAZINE. These fit the later Range Rover P38s with the Alpine head units. Perfect working order. Magazine included. Dispatched with Royal Mail 2nd Class. This 6 disc changer was removed from a Range Rover L322 and has been fully refurbished with new loading motor fitted and laser block assembly if needed. Common problem with these cd changers is stuck magazine. Holder is not included in the sale but is for sale separately. Magazine also sold separately. This unit comes with 6 months warranty. Alternatively I can refurbish your faulty cd changer for £45.00 plus postage. Please message me for this. HERE FOR SALE WE HAVE A USED LAND ROVER FREELANDER CD PLAYER CHANGER. IT INCLUDES THE MAG FOR THE CD'S. Here i have a genuine land rover cd player for a land rover freelander 1 td4. Ready to fit. Land Rover Part No. CD 6 Disc Changer Unit with CD Cassette for Freelander models. GENUINE LAND ROVER ITEM. 2002 - 2006 Range Rover L322 Alpine 6 Disc CD Multi Changer With Magazine. We are a bonefide 'End Of Life' Vehicle Dismantlers situated in East Devon. We willALWAYS resolve your issue but would ask that you call us in order to do so. DISCOVERY 2 MULTICHANGER. HERE WE HAVE A USED GENUINE 6 TIER CD MULTICHANGER TO FIT A LAND ROVER DISCOVERY 2. ULTING 4X4 LAND ROVER PARTS. HERE WE HAVE A USED BUT TESTED MULTI CHANGER TO FIT A LAND ROVER DISCOVERY 2. DISCOVERY 2 MULTI CHANGER. ULTING 4X4 LAND ROVER PARTS. 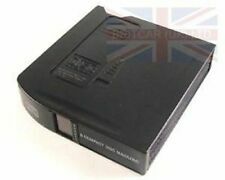 FREELANDER 1997 -2002 Genuine Land Rover CD Reciever. Manufacturer:LAND ROVER. 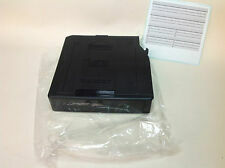 Item Specifics:1997-2002 - 5 DOOR - MPV - RADIO / CD PLAYER - WITHOUT CODE. Part:Radio/CD/Stereo Head Unit. This Radio/CD/Stereo Head Unit was removed from a2002 car and has been fully inspected. Part Number - VUX500230. Here We Have a Genuine Land Rover 6 Disc CD Autochanger Player. Suitable For the Freelander 1 Models. HERE WE HAVE AN ALPINE CD MULTI CHANGER TO FIT A LAND ROVER DISCOVERY 2 AND RANGE ROVER P38. DISCOVERY 2 MULTI CHANGER. ULTING 4X4 LAND ROVER PARTS. THIS IS IN GREAT CONDITION AND GREAT VALUE. 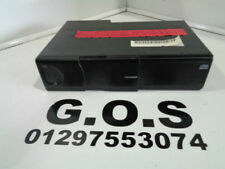 Genuine MG Rover Freelander Part, number XQE000970. Trim Colour. Drive Side. Drive Type. VIN Number. A fully fitting service for most parts and repairs can also be arranged. REMOVED FROM A 2007 RANGE ROVER L322 3.6 TDV8 VOGUE. Brand New Alpine 6 cd changer for a Land Rover. This is brand new old stock. Never used, only taken out for photos. Any questions please ask, will try my best to answer. Please see our other items. This listing is for a used part This CD Changer is from a 2001 Discovery 2 TD5 Please match current part number of XQE000110PMA as shown in photo. PART NUMBER XQE000100. RANGE ROVER L322 2002 - 2005. REMOVED FROM RANGE ROVER L322 2003 3.0 DIESEL TD6 AUTOMATIC GEARBOX IN BLACK. GENUINE CD CHANGER WITH MAGAZINE.